Happy Weekend everyone! This has been a long week, so I'm more than ready to sleep in and relax for the next few days. I have a few plans, but otherwise I'm going to spend the weekend decorating for Christmas and getting in the holiday spirit! I don't think there's anything better than walking into my house and being greeted with an amazing scent. I don't even care if everything is a mess- if it smells good that's fine with me. Right now, my favorite thing to use are the Wallflowers from Bath and Body Works! I love how you don't have to keep an eye on these like candles, and the scent fills up a room so quickly. Right now my favorite scents are Marshmallow Fireside , Vanilla Bean Noel and Winter Candy Apple- but you really can't go wrong with any scent that you choose! I had to share the outfit that I wore on a rainy day, because I loved how everything looked together! I recently picked up the jacket from Target, the dress is a few years old from Express, and I got these rain boots on sale at DSW! I love how well they fit in the calf, and they look like regular boots. I've just started GG, and so far it is a little too staged for me, but I'm enjoying it anyway! I finished GG last weekend so I won't say too much but overall I was slightly disappointed- interested to hear your thoughts! I'm actually headed to Indy this weekend to go the game- so so excited and hoping we bring home a huge win!!!! I've heard mixed reviewd for Gilmore Girls--I havent watched any yet but I want to! Maybe this weekend! Winter candy apple sounds like such an amazing scent I havent smelled that one yet! I LOVED Gilmore Girls. But not sure how I feel about the last four words. The rest was just fantastic! I've heard so many mixed reviews of GG. Regardless I plan to start it next week because my husband is working late. And you reminded me I realized I have NO holiday scents leftover from previous years, so I need a trip to Bath and Body Works ASAP. I've been watching GG too. Slowly but surely. I looove that outfit you've got on. Totally something I'd love wearing. I wish I could just make it all magically appear in my closet! HAPPY FRIDAY! Have fun decorating for Christmas! I love the Wallflowers. I got one as a gift that let's say was rather strong! We put it in the downstairs half bath and it was just over powering. I took it out almost 2 weeks ago (and put it in the garage) and we can STILL smell the scent in the bathroom...lol. Love that outfit-- the jacket is so cute! I used to be obsessed with the wallflowers and think I still have a few bulbs somewhere, though I don't know if we have any plugs left! 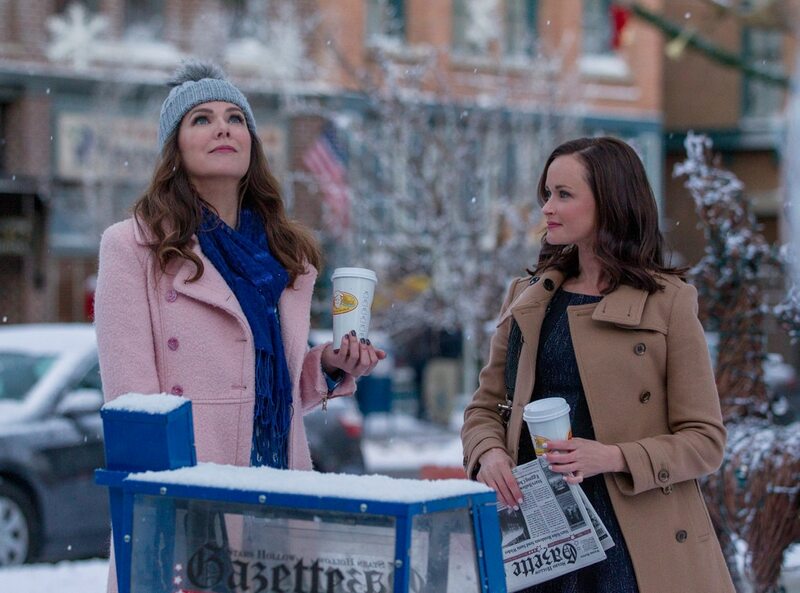 Gilmore Girls was great, albeit a little disappointing. Let me know how you think the second half goes. I'm checking out the guest star article! Thank you so much for your comment on my post today & for thinking of me! I will be checking out what you mentioned. I love our Wallflowers! I just switched to them from Airwick or Febreeze or something, and not only are the scents so much better but they last so much longer and with B&BW's coupons come out to about the same price. I just got a few new winter ones in the mail and they smell so good! I love scent diffusers. We always have an essential oil warmer on in our room with vanilla or soft scents as it's so calming and so nice to walk into our room and have it smell lovely! i loved the gilmore girls mini series, but i thought some of it was a bit weird for sure. love the jacket from target!